A few weeks ago, an foreign language instructor at Johnson County Community College reminded me that it's time to dig out my Cinco de Mayo poems since the holiday was approaching. She surprised me by saying that she uses them in her classes. and on the wrong day. and that the women will wear Hawaiian leis and bikinis. or which salsa is more authentic. will lecture me on how I’m losing my heritage. I hate that teachers beat my parents for speaking Spanish in school. for the one day a year it seems we’re allowed to speak it. by which they judge us. I hate Sink-O duh My-O. and closes with Hispanic Heritage Month which includes the real Mexican Independence Day. 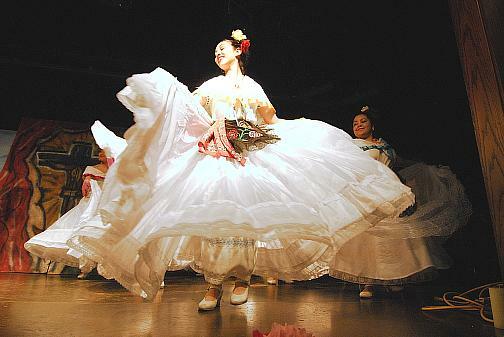 as young folklorico dancers fulfill the tradition of siblings and elders. and how the breeze carries chili powder instead of pollen across the fiesta. not the authenticity of the products. release childhood memories and reveal cultural meaning. on the one day a year everyone wishes they were fluent. El que sabe dos idiomas vale por dos. despite the revolución’s evolución into the Mexican St. Patrick’s Day. 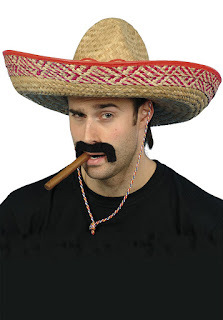 I love Cinco de Mayo. and featured on the Facebook page, Poets Against SB1070 in 2011.